Join the Ambassador Program and help us to achieve our mission to save the natural world! Access to exclusive discounts on specific expeditions. 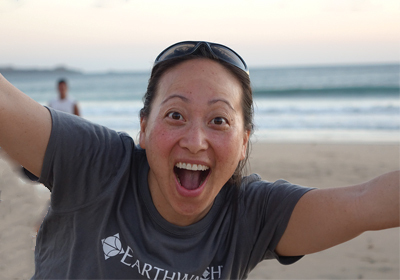 Announcing our first featured Earthwatch Ambassador duo! We’re excited to announce our latest featured ambassador will be not one but two special volunteers: David Cerna and Kathryn Eckert! David and Kathryn are rockstar Earthwatch Ambassadors who recently tied the knot. 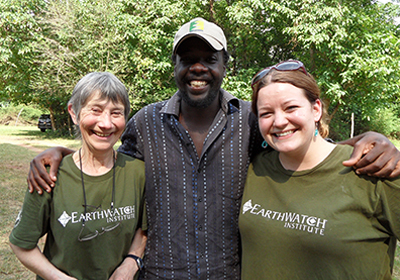 In lieu of wedding gifts, the couple elected to have friends and family donate to Earthwatch to support our mission. This couple proved that they really “walk the talk” by joining our Tracking Sea Turtles in the Bahamas expedition the week before their wedding. Thank you, David and Kathryn, for your generous support of Earthwatch and congratulations on your wedding! Want to be highlighted as our next Featured Ambassador? 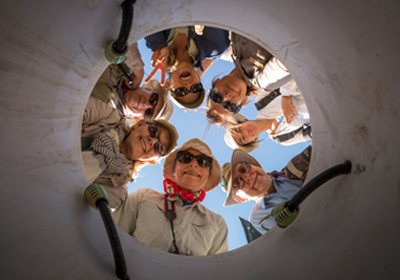 Make sure you submit your Ambassador activities to ambassador@earthwatch.org for your chance to see your photo here and win free Earthwatch gear!